I had one of those things. It was unpleasant. Not just my parents having to turn the thing (they took turns, they both hated doing it), but I would get choked on nearly everything. Spaghetti would get caught and dangle down my throat, forget hot pizza. And cleaning the thing? Ugh, gross, food just loved to gather up there. Doesn’t sound like fun at all but to make a beautiful girl more georgeous I guess it’s worth it. As for Isaac better to go through the pain now than when he’s an adult….right dad? I had braces 3 times! Once when I was 12. Then again when I was 21. Good grief you just made me remember that I still hand them when I was 34! Sigh…. Anyway, I had the removable expander. I would turn mine a half a turn every other day instead of 3 turns in one day like they suggested. It didn’t hurt as bad and it accomplished the same thing. The Boy had that and Mousey had one on top and bottom. The sucking sound to clear the food out of them at mealtimes was kind of disgusting. But they both have sparkling beauties now! Braces already? Does Abigail even have all her big teeth yet? 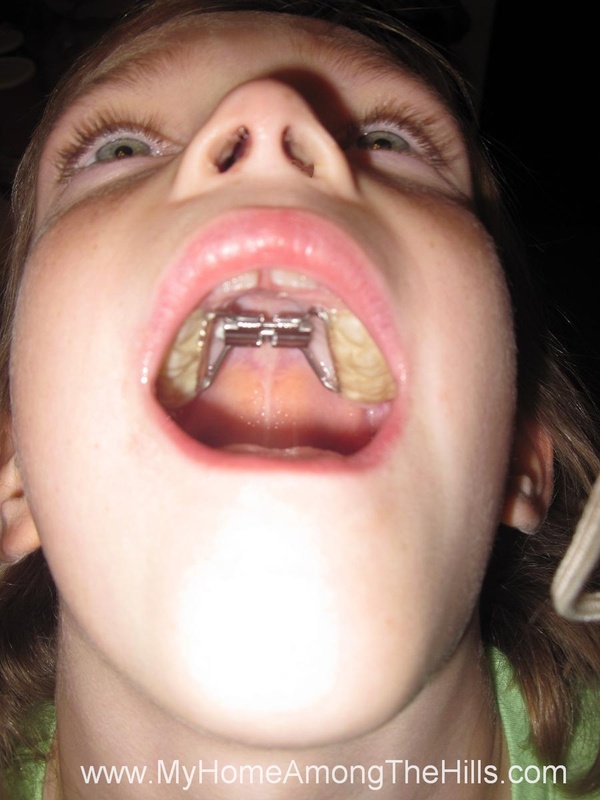 I never had braces, but I had a retainer thing to spread my teeth out. Are you making the mortgage payments on Dr Holmes new home or what? Jerk – No kidding! I also paid for his upgraded office I think!